Enterprise Manager DB Express for Oracle 18c database ( Release 18.0.0.0.0 )..!! 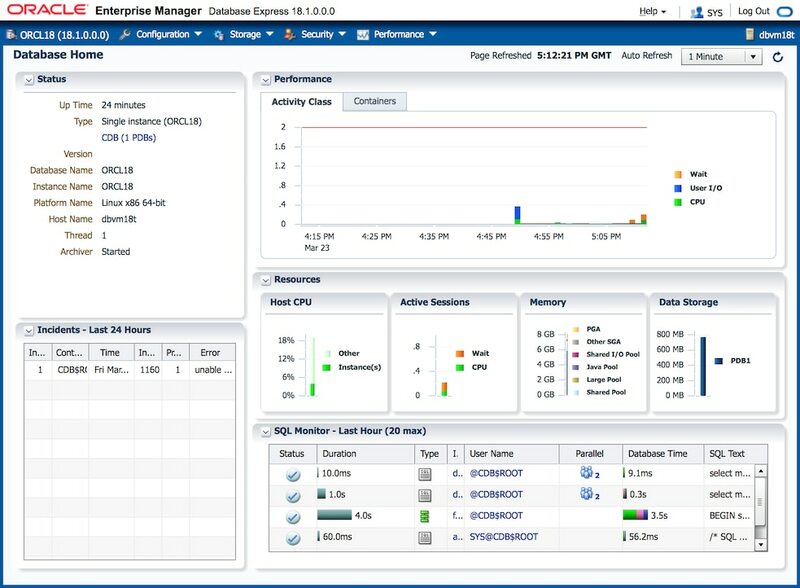 Enterprise Manager DB Express for 18c database ( Release 18.0.0.0.0 )..!! SSH into your DB System node, and open a tunnel for the port we will use on the Enterprise Manager DB Express 18c. Set the environment variables for your Database system. Connect to your Container database as SYSDBA. Run the following commands and procedures. Use your browser on your local computer to open the console at http://localhost:5505/em.